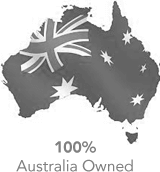 In Confidence, a wholly Australian owned company, was established in 1991 to service the secure shredding needs of small business, large organisations and government bodies. Our mission is simple: to provide our clients with a secure and efficient means of disposing documents, IT media and unwanted products, at a very competitive price. Our mission is simple: to provide our clients with a secure and efficient means of disposing documents, IT media and unwanted products, at a very competitive price. In Confidence is an accredited security destruction company. In Confidence’s plant, in-house shredding equipment, specialised security vehicles and security protocols have been designed with your business, and the security of your documents, IT media and unwanted products in mind. In Confidence is also an environmentally friendly company. 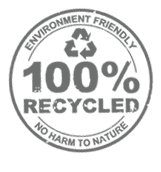 Post shredding, we actively take part in doing our bit for the environment by recycling the documents and products if possible. This way, we can help both our clients and the environment simultaneously. 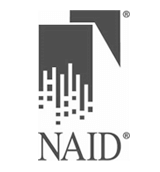 In Confidence is a member of N.A.I.D, the National Association for Information Destruction, and is AAA certified. This means that you can rest assured that your documents and products will be securely destroyed with us. In Confidence has a security shredding solution for everyone. Whether you are an individual, small business or large organisation, you can be assured that at In Confidence, we will keep your business, your business. Our past clients have noted that not only are we trustworthy and focused on our job, but that we are also timely, professional and courteous. No matter how big or small the job, contact us today for a competitive quote.